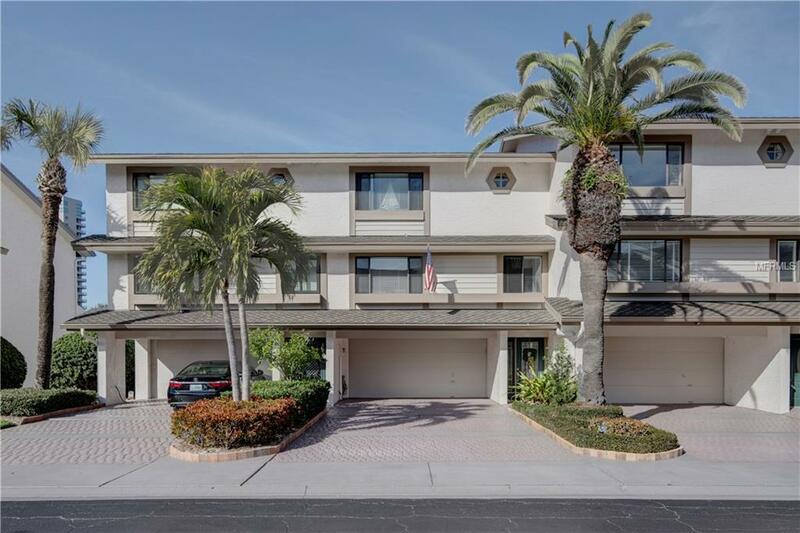 Enjoy a waterfront, Boat Lover's Lifestyle in the only Townhome community on Sand Key. 3 BR/3 BA on 3 levels, 2150 sq. ft. open Great Room plan make this intrcoastal property a Must See. Freshly painted with new wood floors and updated bathrooms, this low-maintenance community has an HOA of $200. Full bedroom en-suite on the waterside of the first level with 2 car garage, second level is your great room open to new kitchen with guest bath and flex space, that is currently a dining room but could easily be a home office/exercise room. Large balcony with northern water views of the bay and intracoastal. And for sunsets every night, walk across the street to put your toes in the sand of beautiful Sand Key. Extras include community pool and wood-burning fireplace. Additional Lease Restrictions 6 Months Minimum Lease.